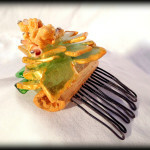 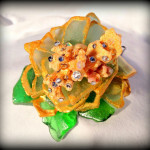 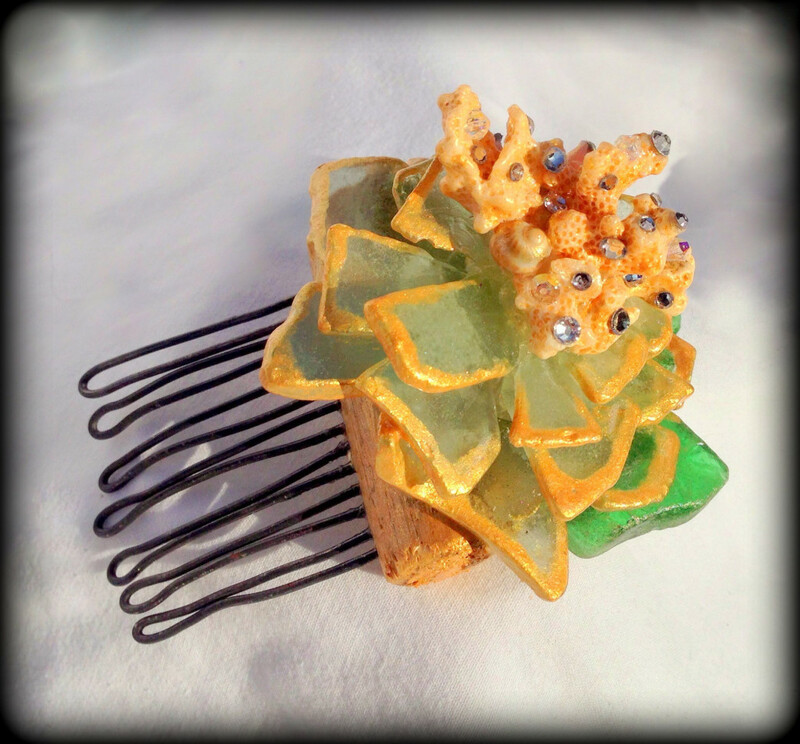 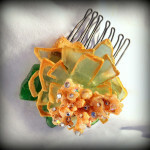 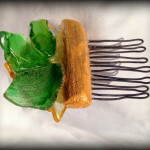 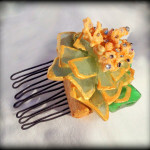 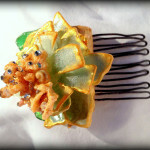 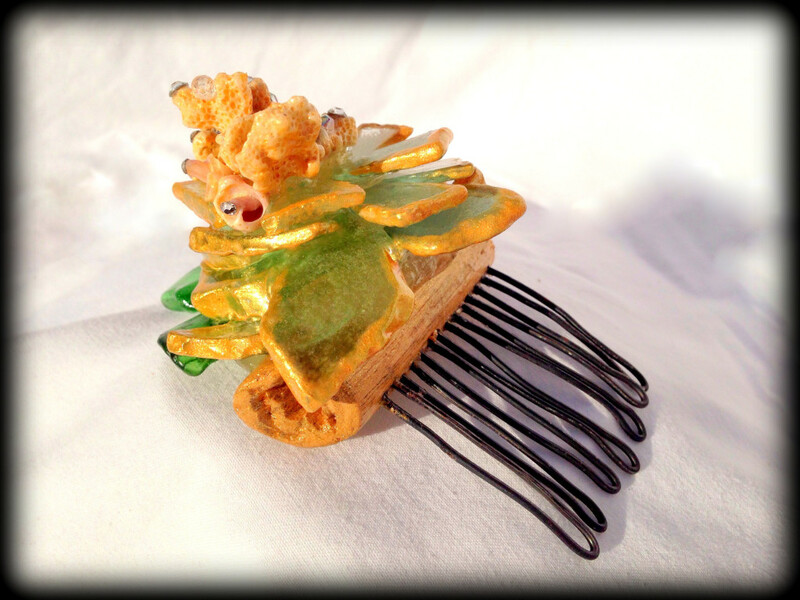 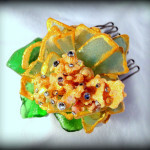 This comb was a commissioned piece inspired by and created for my “sister-to-be” Ashley. 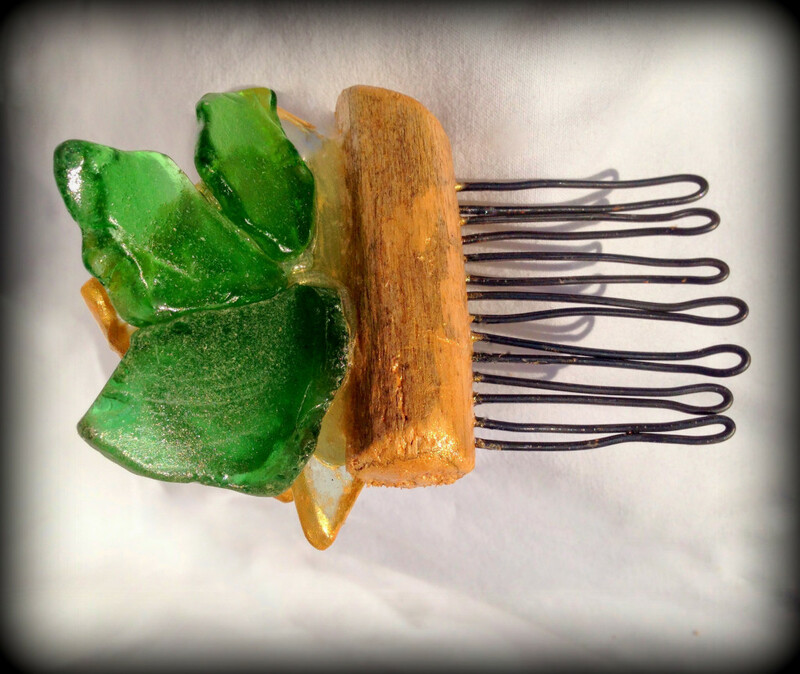 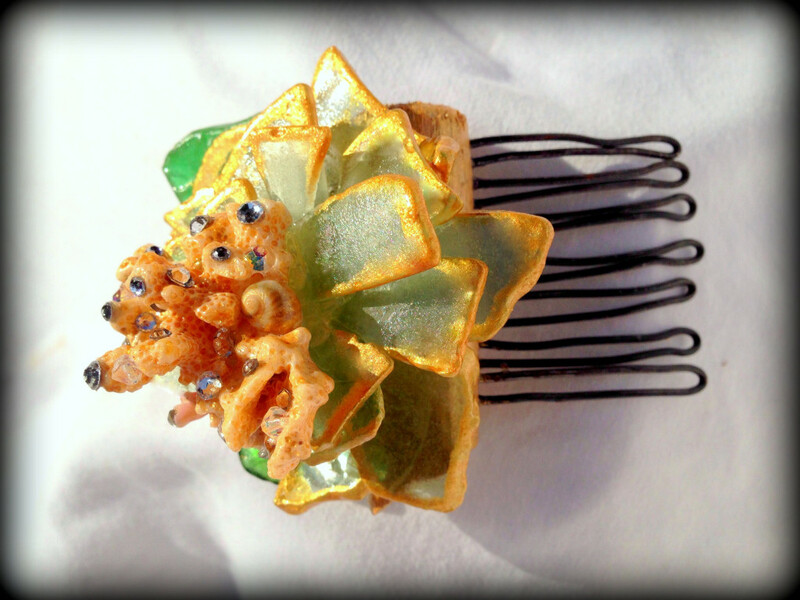 My brother approached me to create something for her, and I chose her favorite colors of aqua, blue, and greens to create this one of a kind beach glass flower. 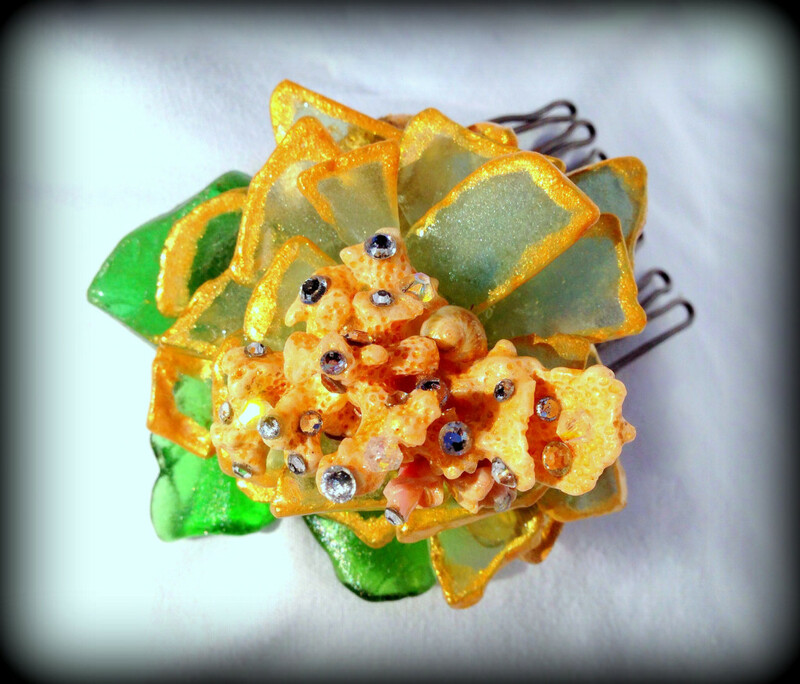 The amber accents inspired by Ashley’s golden blonde hair and the delicate quality of this petaled flower remind me of her sparkling compassion and sweet disposition. 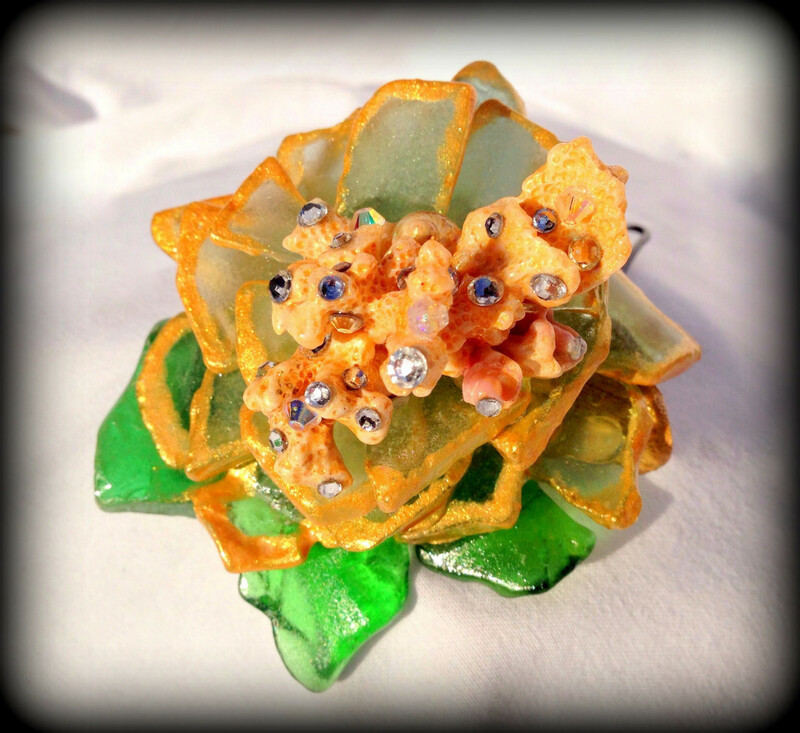 The coral center is home to dozens of Swarovski crystals, rhinestones, beads and tiny Kauai shells bedazzled at it’s heart, just like it’s namesake.